About 1.25 million Americans have type 1 diabetes and an estimated 40,000 people will be newly diagnosed each year in the U.S. 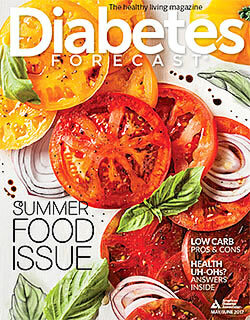 The American Diabetes Association seeks to improve the lives of all people affected by diabetes. To achieve this goal, the Association focuses on (1) funding critical research to prevent, treat, and cure diabetes and eliminate diabetes complications; (2) educating people with diabetes and their health care providers and caretakers on the latest scientific information to ensure longer, healthier lives free of diabetes-related burdens; and (3) advocating for people with diabetes to end discrimination in schools and workplaces and to increase federal funding for diabetes research. Type 1 diabetes is a significant focus for the organization. In fact, 37 percent of the Association’s research funding in 2016 was dedicated to projects relevant to type 1 diabetes. Research efforts have realized improved treatments and technologies for managing diabetes and reductions in diabetes complications, leading to longer, healthier lives. However, continued progress in treatment and the ultimate goal of curing diabetes are threatened by inadequate investments in diabetes research. The American Diabetes Association is committed to improving care and finding cures by investing in well-designed research projects that are most likely to make an impact for people with diabetes. The Association funds a productive research portfolio that offers significant progress and hope for improved outcomes for people with type 1 diabetes.